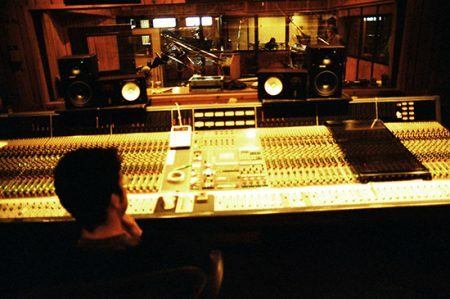 Big board at Avatar Studios, August 2006. Jan Folkson tames the beast. Patience with this modern world, dear.